In the season 1 episode 12 "The Secret" we see a lot of Luke Ward character development happening. The episode is filled with a ton of things that were new to Luke Ward's character, an emotional roller-coaster filled with gossip, bullying and lastly humility. 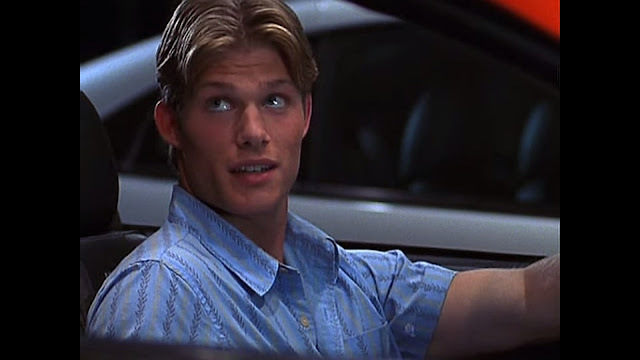 His character and family are forever changed by a huge secret that is discovered in the worst of ways and it all started in Luke's dad's car dealership. But lets not get caught up in that, how could something so beautiful get lost in the drama! Luke and Ryan are paired up to work together on a school project which requires working outside of school to get it completed. 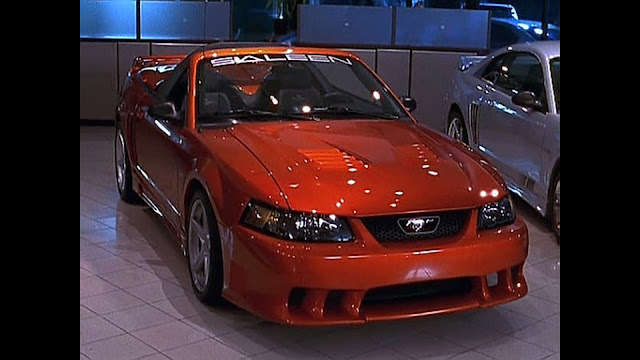 During the process the guys need to stop by Luke's dads dealership so they could use his high tech film scanner, laser jet printer to get the job done (I wonder how much Mustang had to pay for this in-show commercial). On the way they stumble on this gem! 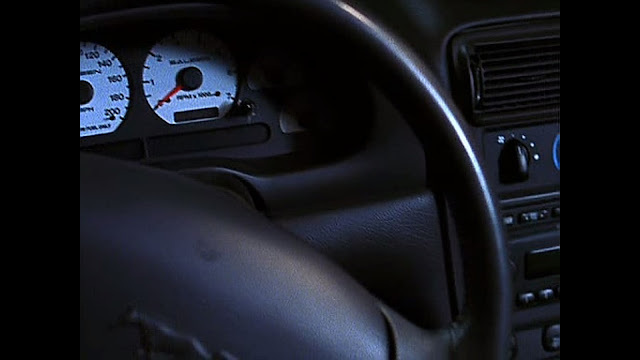 There she is, Luke has a total fast and the Furious moment here, he says "450 Horsepower, 8 cylinder!". 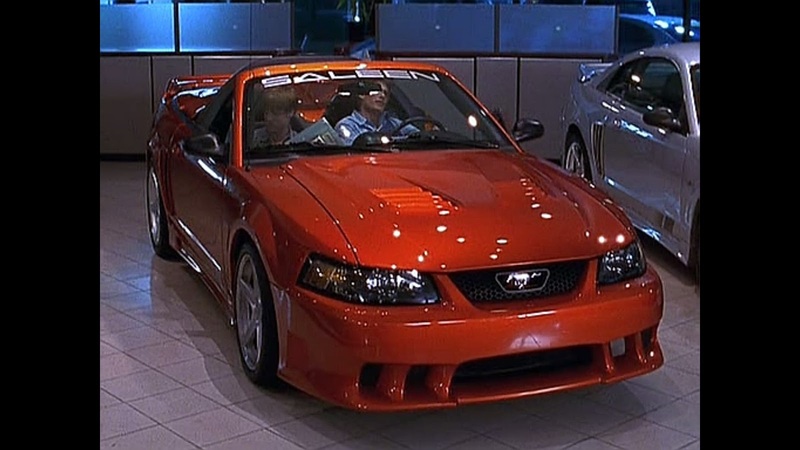 The car we see Luke and Ryan jump in like a bunch of kids in a semi abandoned car dealership with the keys inside the ignition (oh wait that is what is going on here) is a 2003 Mustang Saleen S281 Extreme Edition! 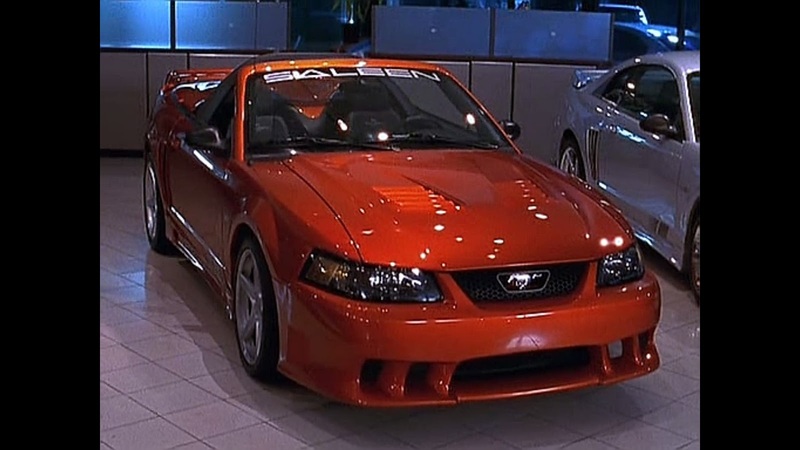 The car features 450 horsepower in a 4.6 L, 281ci engine. This car is a limited edition version and only so many were made. Base price for this convertible was $64,504 dollars usd. Look at that interior, its maxed out! "Dude you have to get in!" Luke grins like the big Golden Retriever he is! 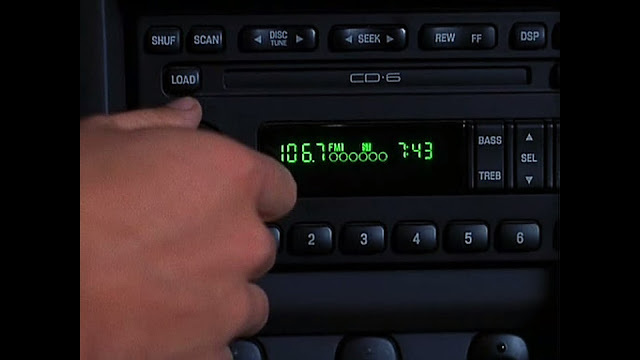 Bonus fact, When Luke checks out the Mustangs sound system the radio is set on 106.7. 106.7 is an actual California radio station called KROQ, which features Alternative Rock to the area. It is a well known and world famous station. Bands that were featured on The O.C. could have potentially been played on KROQ which makes it kinda special. 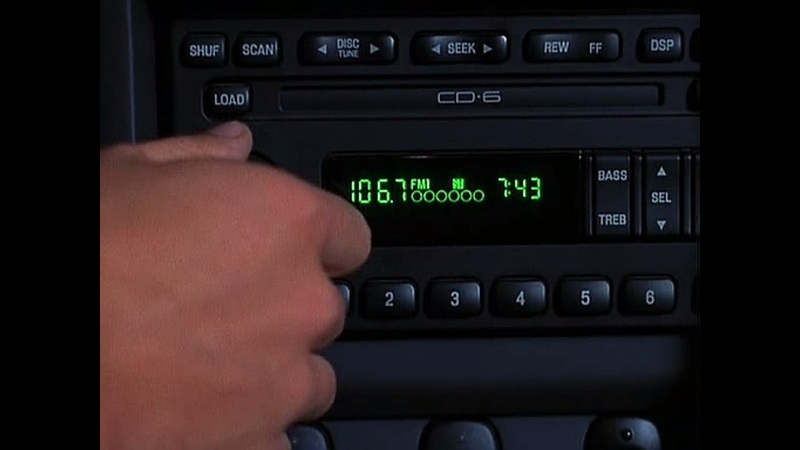 Listen to the station live here and pretend that you live in The O.C.! Luke and Ryan then sail off into the sunset together! The ultimate bromacing vehicle! 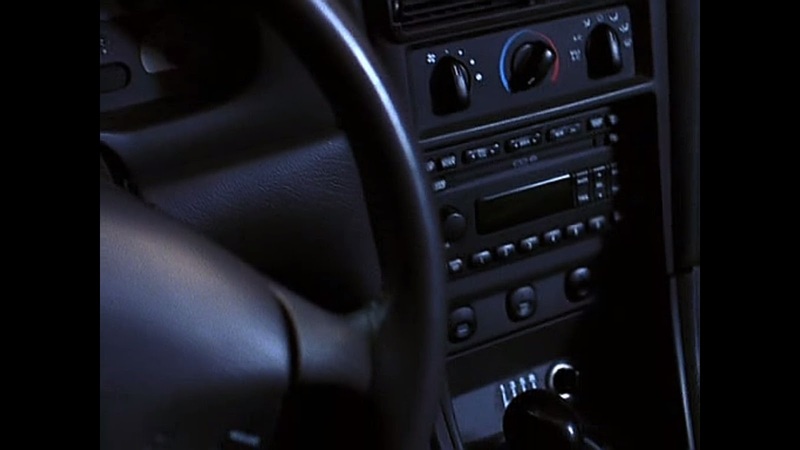 Where to find: Season 1 Episode 12 "The Secret"
Labels: The Cars Of The O.C. Behind the Scenes: the Valley vs The O.C.